Send this blooming arrangement with asters, the star flower! 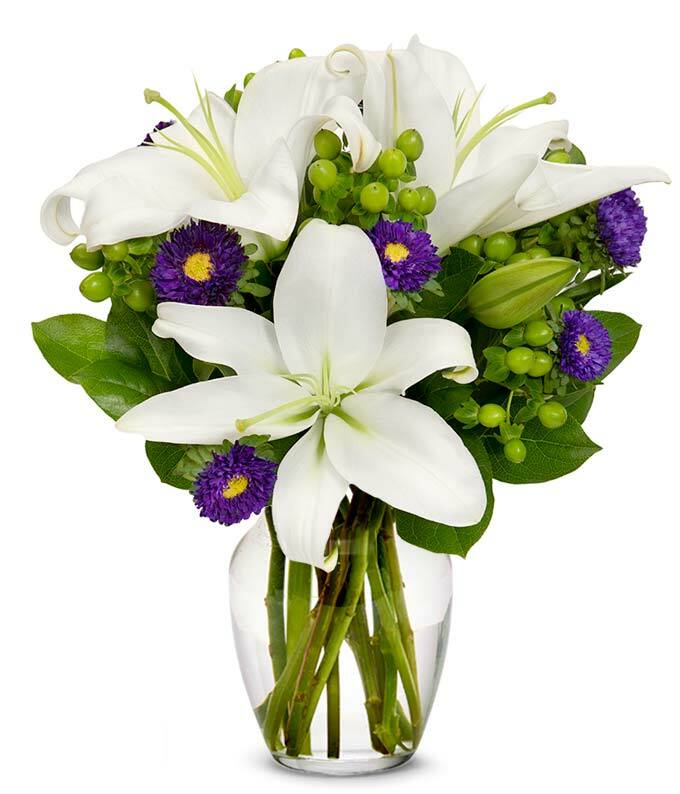 Hand arranged with white lilies, green hypericum berries and purple asters, this bouquet will make someone feel special. Delivery available same day in a clear glass vase, with a card message to send your greetings.